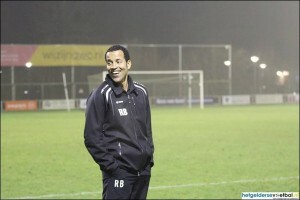 WILLEMSTAD - The contract with the coach of the Curaçao National Soccer Team Remko Bicentini has been extended. The new contract starts in January 2019 until January 2022. If Curaçao classifies for the World Cup in 2022, the coach will also be in Qatar. Bicentini has been with the team since 2016. He came after the well-known Patrick Kluivert.